Includes beaters and dough hooks. 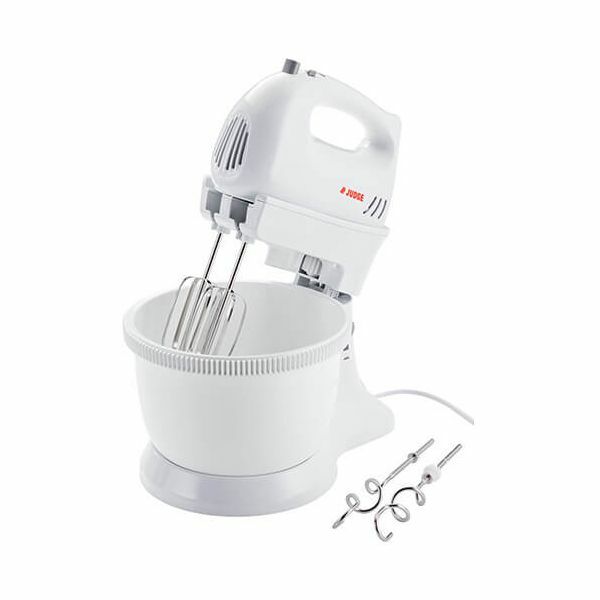 The Judge Twin Blade Stand Mixer is the perfect choice when you are tight on space in the kitchen. 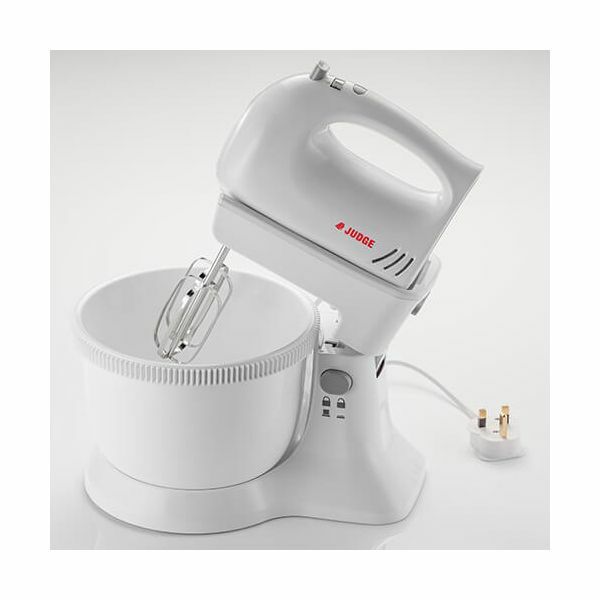 The mixer's 300w motor is controlled via a thumb-operated speed control giving you 5 speed settings plus a turbo button for extra speed and power, taking the hard work out of mixing, whisking and kneading. 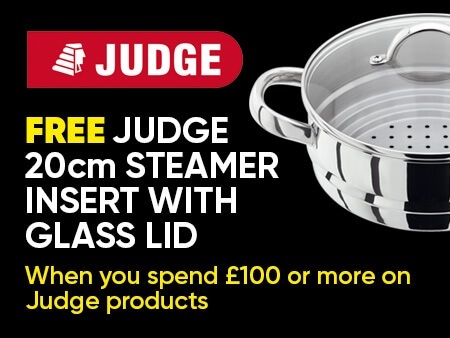 The 1.5 litre liquid capacity (750g solid capacity) bowl automatically rotates for thorough mixing and the mixer head tilts back improving access when adding ingredients. 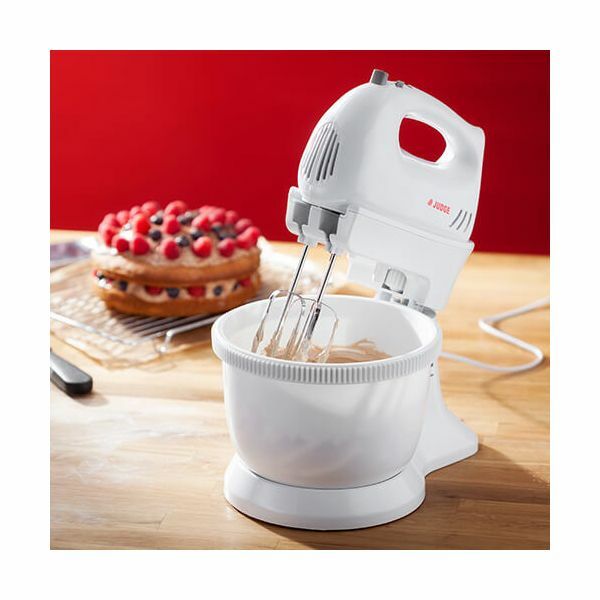 For added versatility the mixer is fully detachable so it can be used as a hand mixer if required. 2 beaters and 2 dough hooks are included with the mixer. Judge 2 year domestic guarantee.